Scott is soon to be a scriptwriting graduate. So naturally we are film and tv geeks and spend most evenings watching something and critiquing it as we go along. Naturally Max needed all of these. Who else is there to show the world what taste in films we have haha. 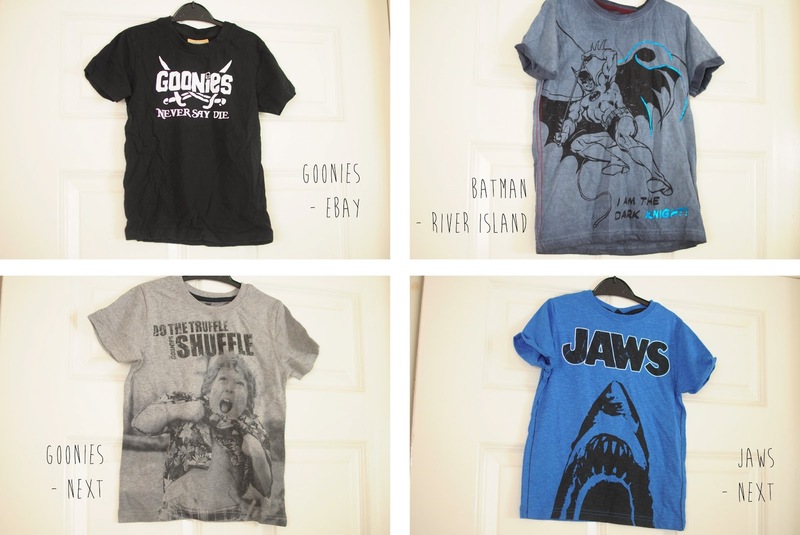 There is everything from Goonies to Jaws. Totally pre 90's and totally awesome. Let's not forget the Disney films though. 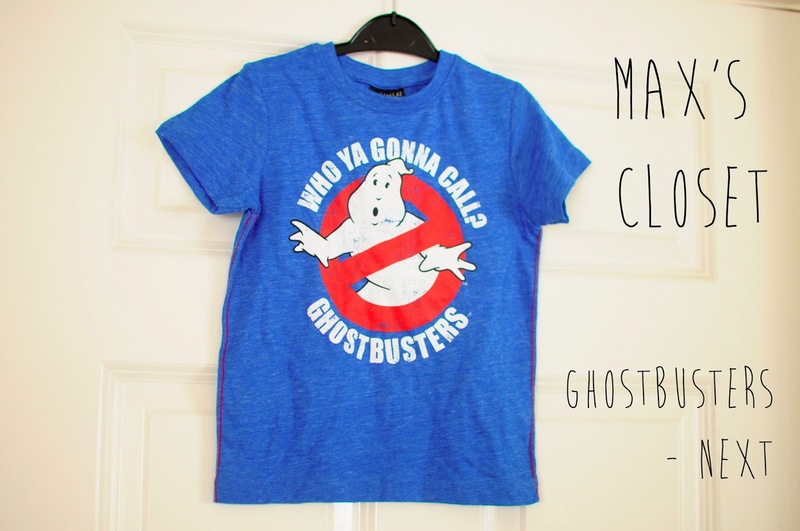 With Toy Story and Monsters Inc. being Max's favourites these are constantly being washed and worn again and again.